This holiday season, Caesars Entertainment Las Vegas Resorts are decking the halls and rolling out festive offerings for guests celebrating the jolliest time of the year in Las Vegas. Decked out in holiday décor, the The LINQ Promenade has transformed into a winter wonderland with a 35-foot tree adorned with lights and ornaments atop The Fountain Stage. Winter PARQ debuts this season with a brand new holiday show that will take place nightly through Friday, Dec. 30. Live entertainment begins at 6 p.m. each night and features holiday performers delighting guests through 10 p.m. Snow will fall nightly across the promenade, every 30 minutes from 5 p.m. to midnight spreading the jolly holiday mood. 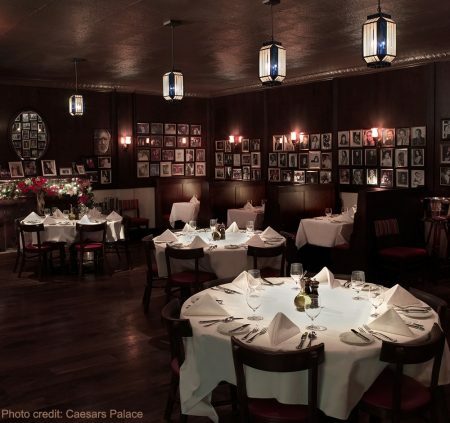 Two of Las Vegas’ most notable restaurants are celebrating the Italian-American tradition of “The Feast of Seven Fishes” on Christmas Eve. Giada De Laurentiis is serving her take on the “Feast of the Seven Fishes” at her namesake restaurant, GIADA at The Cromwell, with a four-course tasting menu, beginning with a signature Antipasti Platter. Following that, guests will be taken on a two-course tour of the sea all topped off with a choice of Chocolate Panettone Bread Pudding with white coffee gelato or Limoncello Soufflé with buttermilk gelato for dessert. The festive tasting menu will be available for dinner Christmas Eve and Christmas Day. The iconic Rao’s at Caesars Palace’s Feast of Seven Fishes menu features a variety of seafood dishes from Chef de Cuisine Fatimah Madyun including Baked Clams Oreganato, Seafood Salad, Maine Lobster Tail with garlic mashed potatoes and sautéed broccolini, Pan-Seared Branzino over fingerling potatoes in white wine butter sauce and more. Bacchanal Buffet will serve a special holiday brunch from Dec. 19 to Dec. 27, featuring delectable items including Herb Crusted 12-hour Prime Rib, Glazed Spiral Ham, Truffle Scalloped Potatoes and Christmas Kale Salad with pecans and cranberries. The award-winning buffet will also roll out festive offerings for dinner including Lobster Bisque, Sweet Potato Souffle with brulee mallow, Grilled Lamb Chops, Suckling Pig and more. Save room for dessert with options like Gingerbread with nutmeg cream, Mini Bouche Noel and Sticky Toffee Pudding. Gordon Ramsay Pub & Grill will offer a three-course, prix fixe menu that includes Pumpkin and Chestnut Risotto with pancetta, sherry and sage cream, Beef Tenderloin “Chateaubriand” with stilton mashed potatoes, Roasted Root Vegetables with madeira truffle reduction and Gingerbread with eggnog cremeux with gingersnap. Restaurant Guy Savoy will serve its Christmas Prestige menu, which will be available on Christmas Eve and Christmas Day, and will feature ten exquisite courses including Octopus like a “Pot au Feu,” Seared Foie-Gras with apple textures and Quail with black truffle potato mousseline and jus roti. A vegetarian prix fixe menu will be available as well. 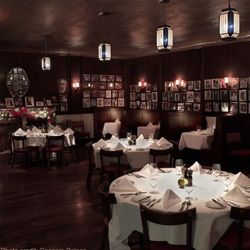 On Christmas Day, Rao’s will serve several specialty dishes including Lobster, Shrimp and Scallop Pappardelle, Herb Crusted Prime Rib with roasted fingerling potatoes, aus jus, broccolini and horseradish sauce, Pan Seared Branzino with fingerling potatoes, white wine butter sauce, gaeta olives, capers and cherry tomatoes and Dutch Apple Pie with caramel drizzle and mascarpone mousse. BLT Steak will offer a prix fixe menu that will feature a selection of festive items including Lamb Porterhouse with rosemary crust and lamb jus, Nudi with parmesan broth, Cranberry Spiced Bread Pudding for dessert and more. Dishes from the holiday menu can also be ordered à la carte. Ruth’s Chris Steak House will feature a complete celebration meal that includes a starter, entrée, personal side dish and dessert. Guests can choose from delicious dishes like Lobster Bisque, Petite Filet with Shrimp, Creamed Spinach, Chocolate Decadence Yule Log and more. Toby Keith’s I Love This Bar & Grill will celebrate the holidays with a country-twist with a special three-course menu of Butternut Squash Bisque with bourbon whipped crème fraiche and applewood bacon bits, Toby’s Spiced-Rubbed Slow Roasted Turkey Dinner and Pumpkin Pie for dessert. Flavors Buffet will make guests feel right at home with its holiday menu that includes classic Christmas dishes like Pineapple-Baked Bone-in Ham, Candied Yams, Traditional Whole Tom Turkey, Herb Roasted Pork Loin and Holiday Cookies. Burger Brasserie will serve guests casual, festive dishes like a Grilled Cheese Meatloaf Sandwich with applewood bacon wrapped meatloaf, spiced ketchup and fried onions between two grilled cheese sandwiches and Sweet Potato Pecan Pie for dessert. Le Cafe Ile St. Louis will transports guests to the streets of Paris this Christmas with a four-course prix fixe menu with dishes like French Onion Soup, Cheese Fondue, Seared Halibut, Pumpkin Crème Brulee and more. Le Village Buffet will treat guests’ taste buds this Christmas with its festive array of holiday dishes—both traditional and unexpected. The menu for the day includes Pork & Bean Cassoulet, Roasted Duck, Roasted Prime Rib, Roasted Sole with fennel and tomatoes, White Wine Steamed Mussels, Cranberry Orange Bread Pudding and more. Guests can make their reservations on OpenTable. Spice Market Buffet will offer guests both traditional and non-traditional dishes for its holiday feast including Slow Roasted Prime Rib, Honey Glazed Ham, Five-Spice Leg of Lamb, Mac & Cheese, Green Bean Casserole, Yukon Mashed Potato, BBQ Ribs, Tandoori Chicken Kabobs, Tamales and more. All-American Bar & Grille’s Christmas Eve and Christmas Day specials will give guests a reason to celebrate with festive dishes like Roasted Cranberry and Walnut Salad, Pineapple Ginger Ham, Candy Cane Milkshakes and Profiteroles. Guy Fieri’s El Burro Borracho’s Mexican-inspired Christmas dishes include Ensaladas de Noche Buena with spinach, jicama, pineapple, apples, pomegranate, pecans and honey lime vinaigrette, Roasted Chile Poblanas stuffed with picadillo and topped with a spicy ranchero sauce and Shrimp and Crab Enchiladas with tomatillo sauce, cilantro rice and borracho beans. VooDoo Steak will serve a variety of specials on Christmas Day like Five Spiced Pork Belly with confit fennel, kumquat marmalade and smoked bacon dust, Oven Roasted Venison Chop with creamy parmesan orzo, glazed carrots and pomegranate reduction and Vacherin with vanilla and strawberry ice cream layered between a light meringue and chantilly crème. Carnival World & Seafood Buffet will feature a festive spread of holiday favorites on Christmas including Roasted Garlic Crusted Rack of Lamb, Brown Butter Lobster, Baked Ham with Honey Dijon Mustard Glaze, Mini Pecan Tartlets, Pumpkin Pie and more. Book: Caesars Palace Las Vegas Hotel Here! Book: Rio Suites Hotel and Casino Las Vegas Here! 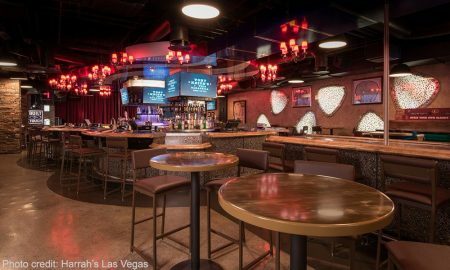 Book: Planet Hollywood Las Vegas Hotel Here! 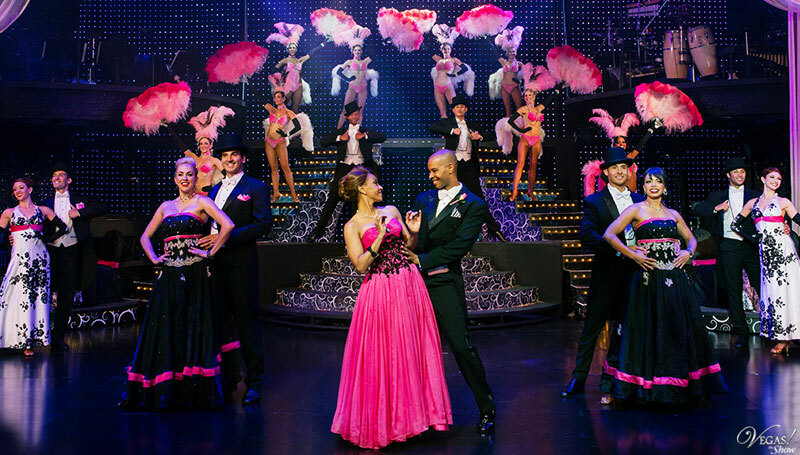 Book: Paris Las Vegas Hotel Here! Book: Harrah’s Las Vegas Hotel Here! Book: Bally’s Las Vegas Hotel Here! Previous Post:Hard Rock Hotel & Casino Unveils First Phase of $13 Million Refresh Inside Its Casino Tower! 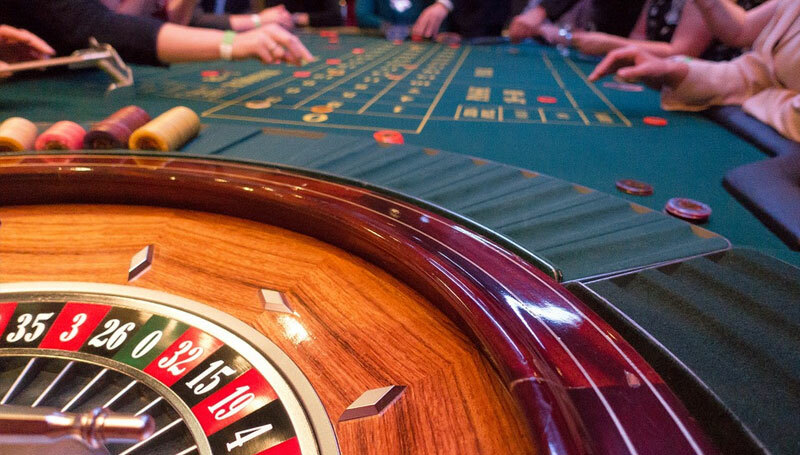 Next Post:Video – What Should You Do When The Power Goes Out In A Casino?